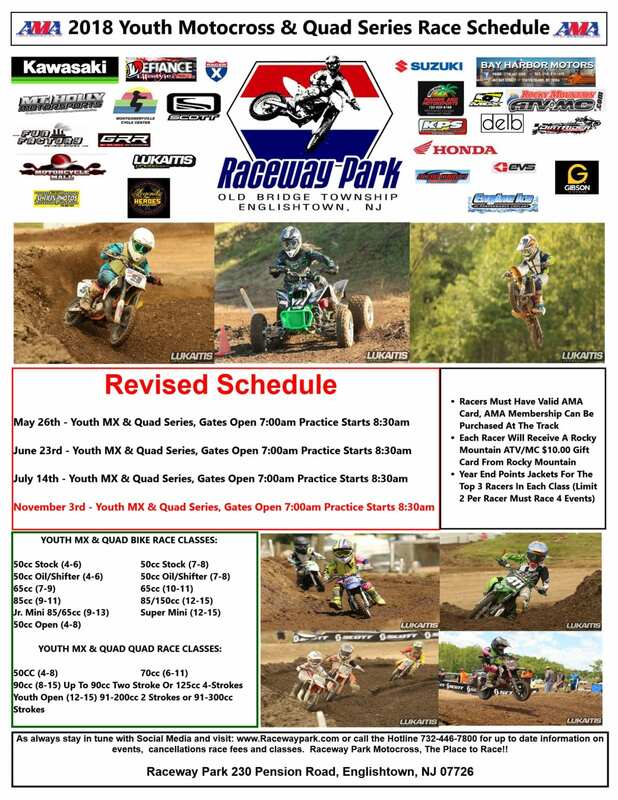 Raceway Park Motocross has officially updated their 2018 motocross racing schedule for both the Saturday youth events and Sunday Semi-Pro racing events. The update was necessary due to several events being canceled earlier due to weather and other issues. 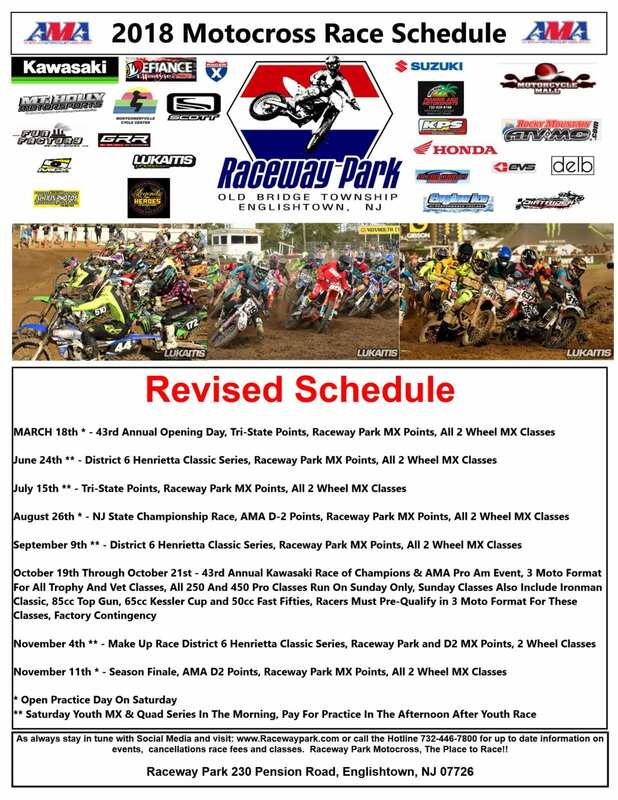 Take a look at the flyers below for the updates.